With this system you can set up your slackline without trees in minutes. For permanent installation in your garden, short trips or your beach-vacation. 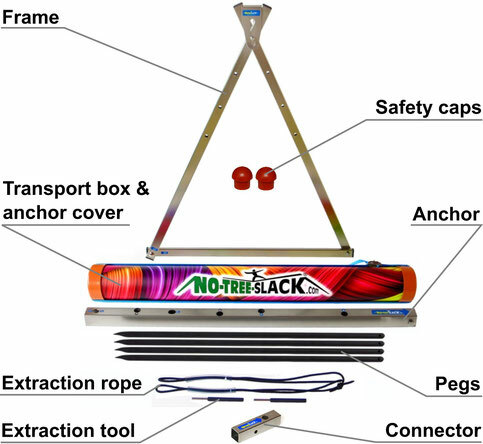 The faster and stronger slackline ground anchor system.